For those not in the know, The CW’s Arrow is arguably one of the best shows on TV. If you haven’t watched it you really need to do so. The writers, creators and actors are encompassing everything I’d hope to see out of a superhero show and it makes me hopeful if Star Wars ever decides to produce a live action TV show. 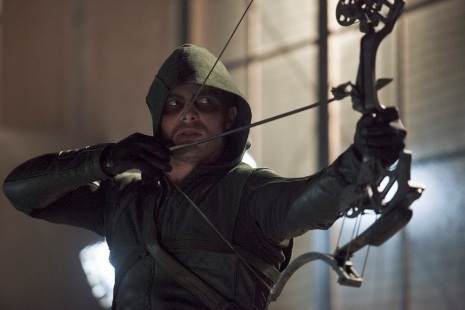 From being light on romance to unique flashback scenes to a fantastic hero’s journey and even to the pure escape of everyday life for the viewer there is much that Star Wars can take from the success of Arrow. » Read more.. Episode VII: Where are the Women? John Boyega, Daisy Ridley, Adam Driver, Oscar Isaac, Andy Serkis, Domhnall Gleeson, and Max von Sydow. This list of new cast members for Episode VII should excite me because it means we’re getting closer to actually having a new movie. John Boyega, Daisy Ridley, Adam Driver, Oscar Isaac, Andy Serkis, Domhnall Gleeson, and Max von Sydow. This list should put me on the edge of my seat because it means Star Wars is going to move on. No more waiting on information for the EU or the not-EU. We have a set story with real people ready to step into those roles to bring life to characters on the screen. John Boyega, Daisy Ridley, Adam Driver, Oscar Isaac, Andy Serkis, Domhnall Gleeson, and Max von Sydow. Instead, I feel disappointed. Disappointed that out of seven names released we have one female character. One. I don’t like being disappointed with Star Wars. I am part of this specific site because we don’t whine for the sake of hearing ourselves whine. We aren’t negative about every new detail released. We like our Star Wars and we’re striving to accept what is being given to us: a new start. We’re excited about the future of the franchise and hoping to help people move on with our opinions and discussions. » Read more.. Looking back at my previous article Last Stands and Final Moments: When Killing Your Hero Works and When it Doesn’t I feel like I did a disservice to Michael Stackpole and Aaron Allston by not including people from the X-wing Series. I was trying not to go overboard with characters and didn’t feel like I could pick just one without going for an in depth discussion of all of them. So thus, Part II of Last Stands and Final Moments was born. My last article on this topic sparked some good discussions along with requests to look at a few other characters so if you have other requests please pass them along. As crazy at it sounds, I still enjoy nothing more while reading a book than having an author correctly kill off a beloved character while making me feel the loss as if I were there in the story with the other characters. I believe this is one of the reasons I continue to pick up Star Wars books. The beginning of the EU saw several character deaths that were so well done that it is possible I’ve been spoiled with a high standard of how a character should be written to exit a series. » Read more..
Is Star Wars Missing a Crucial Reading Category? There’s been something rattling around in my brain ever since Mike recently asked us what story we’d like to see in The Pitch – Novels Humbly Requested by Eleven-ThirtyEight. At the time I requested a Romance novel and still stand by that, but I debated on asking for a completely different type of book. As I walk around a bookstore or browse an online site my travels take me all over the place. Sure I love Sci-Fi/Fantasy and the majority of things I read come from there but I also frequent the Young Adult section. I used to feel goofy about this until I went to a panel by Tamora Pierce at a Con last year that was specifically designed to talk to adults about reading Young Adult books. Sure everyone and their parents read Harry Potter but I’d been reading Young Adult books (series I started as a young adult that I didn’t want to give up) for a long time before that became a fad. 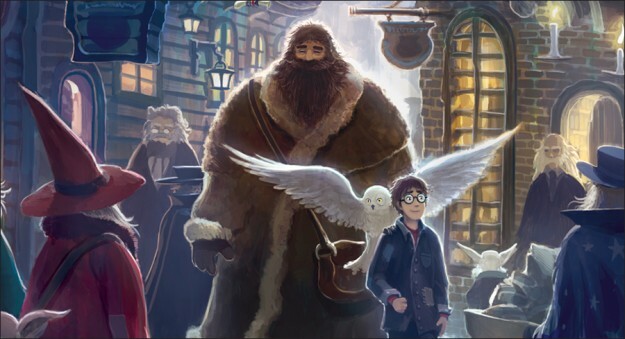 With the success of J.K. Rowling’s Harry Potter and Ric Riordan’s Percy Jackson series plenty of authors have made the jump to writing a YA series on top of their adult series. Notable names like James Patterson and Brandon Sanderson have jumped into the genre with both feet hoping to capture some of the market share. So why hasn’t Star Wars made an attempt? The Sequel Trilogy is going to need some unsavory characters and who better to lead them than someone who already exists: Talon Karrde. First introduced in Timothy Zahn’s Heir to the Empire this character’s story soon takes on a life of its own as he plays both the Empire and the Rebellion in an effort to make the most money and save himself. Paired up with Mara Jade, Karrde brokered information in an organization that would rival any in the galaxy. In a time when our known scoundrels like Han Solo and Lando Calrissian were becoming somewhat respectable, Karrde filled the role of semi-reputable smuggler. As a reader it was a breath of fresh air when comparing Karrde’s organization to that of the Hutts from the movies.